These Q&As are about the recourse when building faults appear not long after occupation. Who is responsible for repair? How long do you have? This has been answered by Frank Higginson and Todd Garsden, Hynes Legal. Question: What happens when building faults in one unit cause damage to another unit? Defective plumbing installation to one unit has cause damage in the unit below. Who is liable? The plumbing in a unit on the second level was defectively installed such that the outlet pipe for the condensate from the air conditioner was not connected to a water evacuation pipe. The air conditioner itself was correctly installed with the outlet hose correctly inserted into the internal piping within the wall. Unfortunately, the internal piping finished in the ceiling of the unit below. This position was established when the condensate generated by the air conditioner in the unit on level 2 leaked through the inside of the wall and saturated the carpet in the unit directly below on level 1. The wall is an internal wall separating the lounge from a bedroom. The building fault has now been rectified at a cost of approx $3000 of which the owner of the unit on level 1 anticipates an insurance recovery of $1500. The units are less than 2 years old but the builder and the plumber have both gone bankrupt or been placed in liquidation. The owner of the unit on level 1 is seeking to recover the excess of costs of approx $1500 from the owner of the unit on level 2. The owner of the unit on level 2 only recently purchased the previously unoccupied unit and obviously was unaware of the building fault, in this case, defective plumbing installation. He accepts no responsibility for the damage to the carpet and wall in the unit below and is refusing to pay any amount of the costs of rectifying the problem. Who is liable for the damage caused to one unit due to building faults in another unit? Answer: It isn’t relevant that the owner of the lot on level 2 was unaware of the building faults. The Lot Owner on level 2 would be responsible for the consequential damage. Owners are responsible for maintaining utility infrastructure that only services their lot. So if the installation was done poorly for the pipe servicing only the lot on level 2 and that caused damage to the lot on level 1, the owner of the lot on level 2 would be responsible for the consequential damage. It isn’t relevant that the owner of the lot on level 2 was unaware of the defect. This post appears in Strata News #224. Question: Is there an official line of recourse in Queensland for purchasers when building faults in an apartment block continue to appear shortly after the ‘builder’s guarantee period’ has expired? 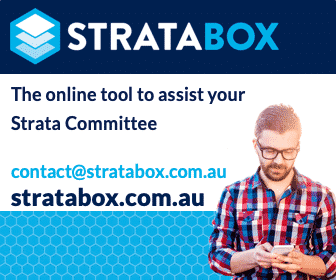 As a regular reader of your Strata News, I would like to inquire if there is an official line of recourse in Queensland for purchasers when building faults in an apartment block continue to appear shortly after the ‘builder’s guarantee period’ has expired. Building faults, in this case, are plumbing problems and a ‘final plumbing certificate’ has never been presented to the Body Corporate. The builder has always maintained that the building would never have been given its final certificate (now 7 years since) if there had been any problems with the plumbing. Answer: There is essentially a statutory cap on taking actions for issues more than 6 years after the issue was created. The answer to this is potentially very long. The shortest of short versions is that there is essentially a statutory cap on taking actions for issues more than 6 years after the issue was created. This can be extended if the issue was not known about provided that it could not have been known about. On top of that is the commerciality of taking any action. Legal proceedings can be expensive (and are never guaranteed for matters of this nature) so you need to assess the costs / benefit of that against what it would cost just to fix the building faults on your own. The developer has statutory obligations to hand over records, but many do not. I think it would start with making enquiries of the local authority about what they may have as part of their records and then chasing the developer for what they had if the local authority had nothing.